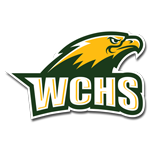 On Wednesday August 10th Wilkes Central Football will hold a pre-season scrimmage with St. Stevens. JV will begin at 5:00pm and Varsity will begin at 6pm. Admission will be $3.00 and concessions will be available.